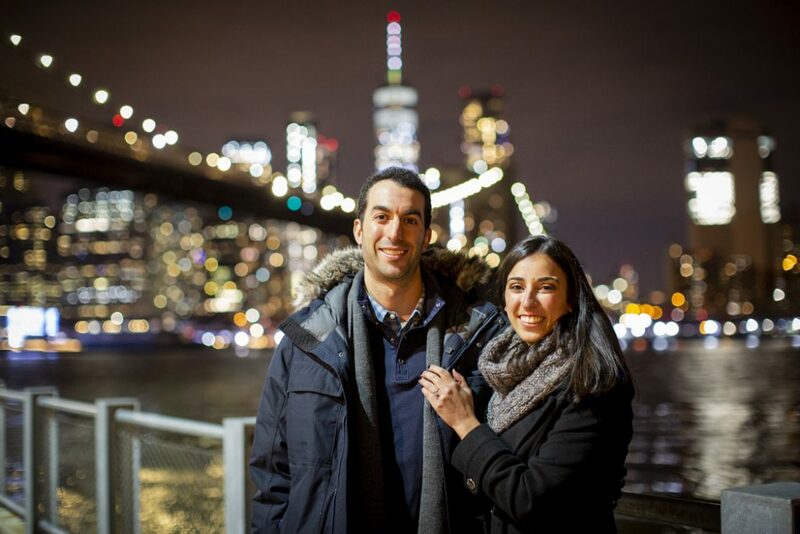 Brooklyn Bridge engagement proposals are iconic in New York City. The city lights, the river and, of course, the Brooklyn Bridge: It all makes for the picture-perfect moment. 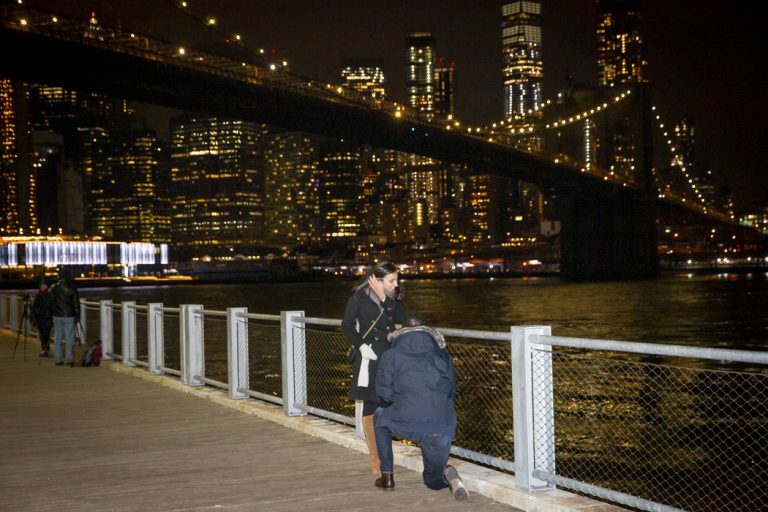 John reached out to Paparazzi Proposals to capture his engagement proposal to Valentina on a beautiful night out in the city. Found the one and bought the ring? Now, capture the moment and receive $60 off any package. Give us a call now at1 (888) 287-5120 for a free consultation. Let us capture your perfect moment. Our sneaky photographer was discreetly waiting to capture every moment. 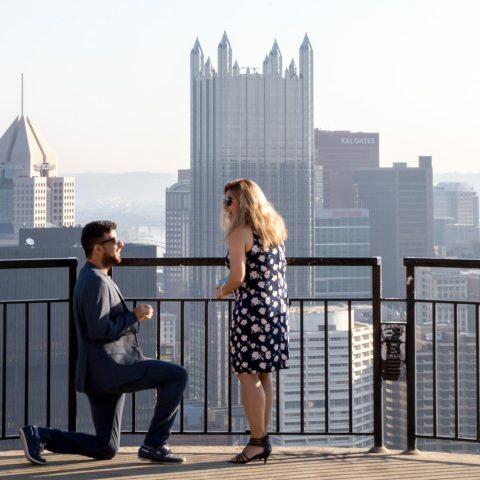 As she took in the city skyline, he got down on one knee and surprised Valentine with a diamond ring. After all the photographer, the surprise continued when our photographer revealed himself and took them around the area for an impromptu engagement portrait session. 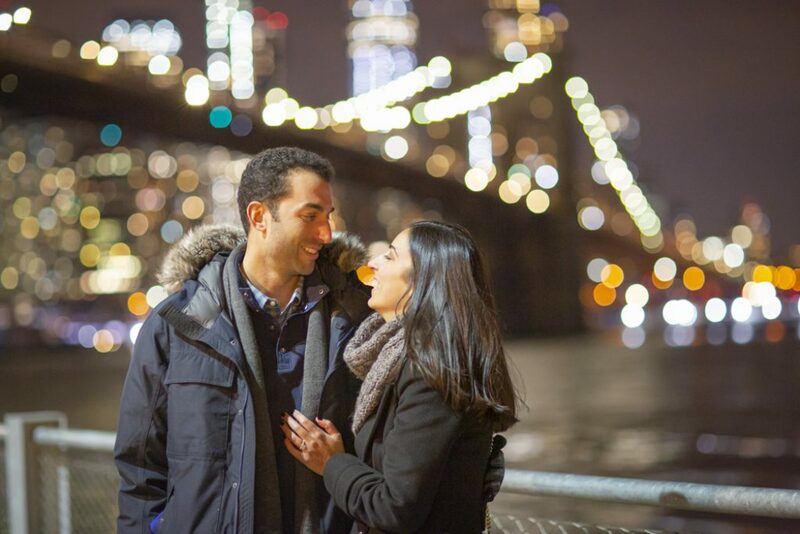 Don’t forget to follow us on Facebook and Instagram for more picture-perfect Brooklyn bridge engagement proposals and more ideas in New York City and nationwide. It will be a moment neither of you will ever forget, and you will be able to share it with family and friends. 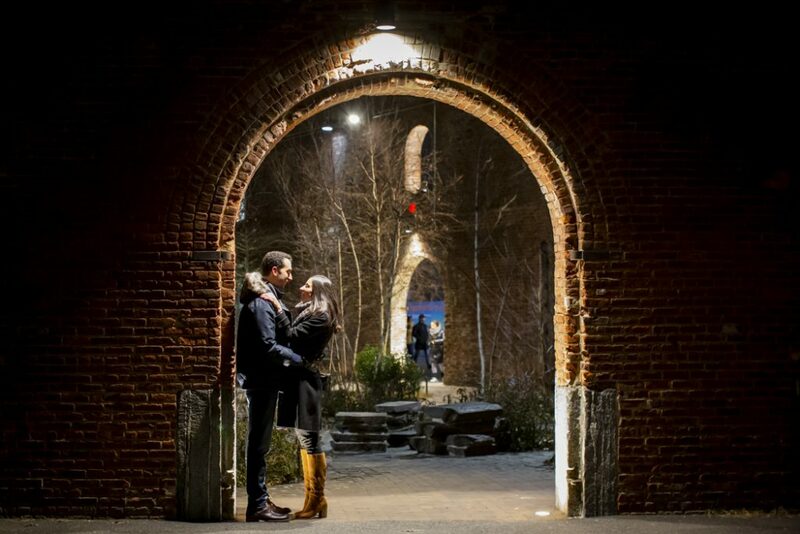 Get more proposal ideas in New York City! Contact one of our experts at 1 (888) 287-5120 for a free consultation. 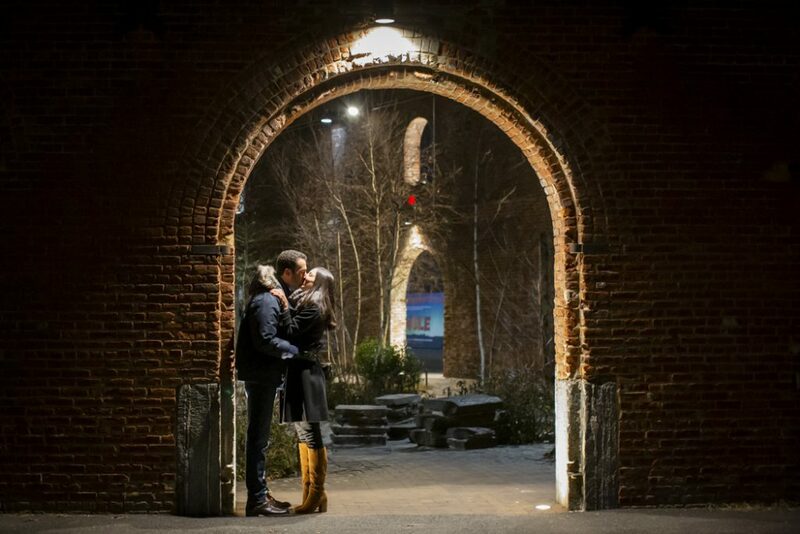 The picture-perfect engagement proposal in New York is one phone call away!